The best thumb layout ever. What’s all this under my thumb? 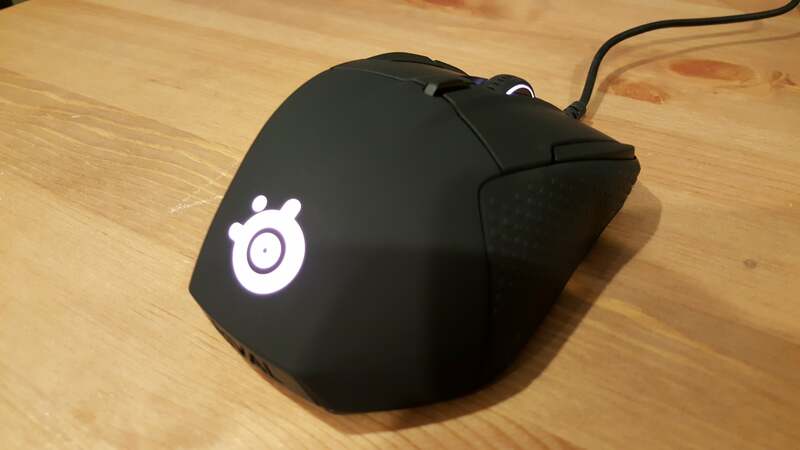 That’s the first thought I had when using the SteelSeries Rival 500 mouse (available for $80 on Amazon), and most likely the first thought anyone would have with this device—there’s a lot to take in. But is a unique and intuitive layout under the thumb enough to make up for the Rival 500’s shortcomings? Or is it just one standout feature that’ll hopefully carry forward into other, better mice in the future? Okay, so the thumb region. I’ve never been a huge fan of so-called “telephone” layouts on MOBA/MMO mice—the Razer Naga, the Roccat Nyth, etc. Maybe I just don’t have the thumb dexterity, but I’ve always found them a bit awkward and fumbly even after months of use with various models. It’s just too crowded, too many buttons to navigate in the heat of battle. But the Rival 500? I’d take this setup on any mouse. 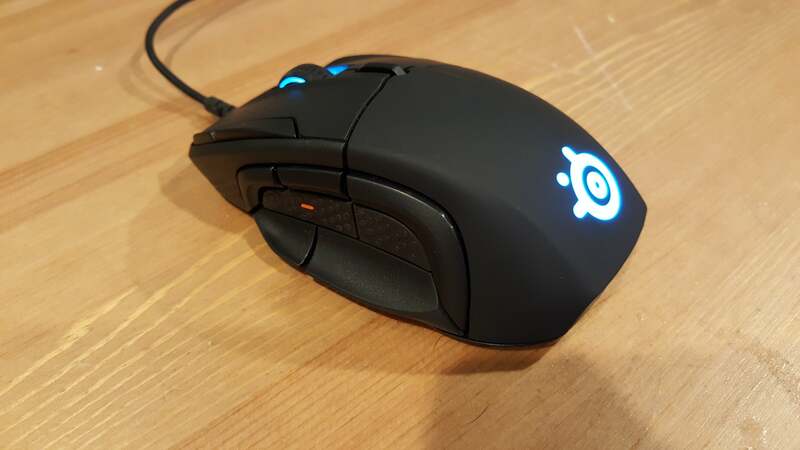 Instead of plopping 12 tiny buttons underneath your thumb, the Rival 500 surrounds it with a ring of five buttons, plus a sixth underneath the knuckle. It’s the most intuitive setup I’ve ever used. The two at the bottom protrude like a thumb rest—and indeed can be locked into place if that’s what you’d prefer—but paddle down under a bit of pressure. The three above are your average elongated thumb buttons, only there are three instead of the standard two, and twisting your thumb upwards is enough to trigger any of them. And then there’s the sixth button, nestled under your knuckle. It’s out of the way, so you can still grip the Rival 500 without fear of misfires, but accessed easy enough by rocking your thumb back. It’s brilliant. Easily the Rival 500’s strongest feature, and I hope to see this sort of setup make its way into non-MMO mice in the future. That’s high praise coming from me, as I’ve long pilloried mice with tons of buttons. When it’s this easy to use though, why not opt for another five buttons? The Rival 500 doesn’t stop there either. 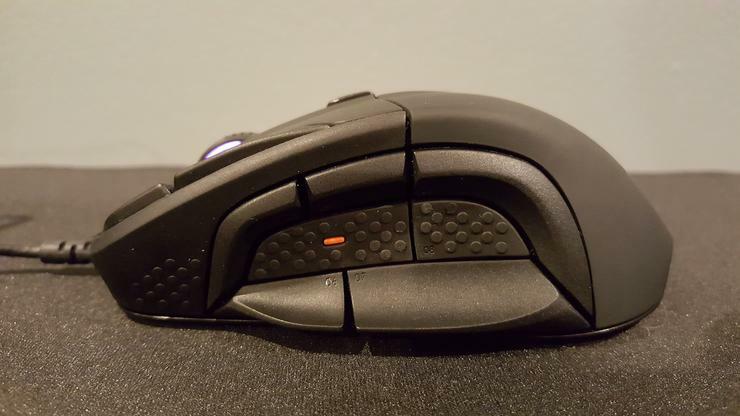 In addition to the usual left- and right-click and mouse wheel, the Rival 500 also includes a button behind the wheel, plus two buttons to the left of the left-click and another on the far right of the mouse. Oh, and the mouse wheel rocks back and forth. This thing is packed with buttons. The thumb region is the high point though. The extra buttons next to left- and right-click are extra-stiff, I assume to prevent inadvertent activation. I’d say they’re too stiff though. It’s overly difficult to hit any of the three in the heat of battle. There’s a stiff “pop” whenever they’re pressed also, and while it’s a nice bit of tactile feedback it’s also annoyingly loud. And there’s a real “quantity over quality” problem with the Rival 500. No single button feels that great to press, with even the usually sacrosanct left and right buttons feeling a bit spongy for my taste. The button behind the mouse wheel is the worst though, rocking so much I initially thought it was a paddle. It’s not. It’s just a very loose-feeling button. The other standout feature of the Rival 500 is supposed to be its “Tactile Alerts” system. I was really interested in this when I first heard of it, as it’s basically a controller rumble (or your phone’s vibration notifications) in a mouse. Meant for gaming, the idea is that when certain actions happen (say, skill cooldowns) the mouse will vibrate to alert you. Cool idea, right? Much more practical than, say, having a single key on your keyboard slowly fade from red to green while you’re looking at your screen. The problem: Tactile Alerts, like RGB LED effects, require implementation. From what I can tell, it’s currently found in only three games—Counter-Strike, Dota 2, and Minecraft. More are on the way, but it’s hardly a must-have feature at the moment. And I can’t imagine many Counter-Strike pros buying this mouse, to be honest. 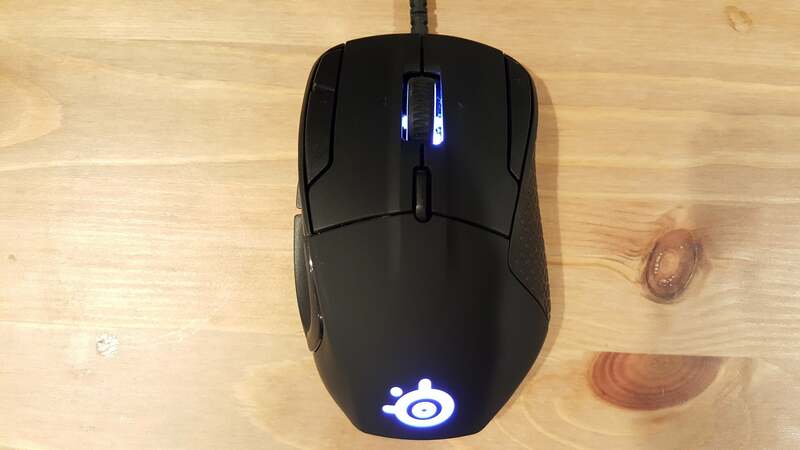 It has the famed PWM 3360 sensor inside, which is loved by plenty of shooter fans for its accuracy and tracking, but the Rival 500’s both heavy and overlarge. That leaves you with...two games. Both are immensely popular games, for sure! But I’m left feeling much the same about Tactile Alerts as I feel about RGB effects in games. It’d be cool if all companies got together, implemented this tech with a single standard, convinced game developers there was a market, and got it added into all major game releases. Instead, you’ll probably forget about it until one day you’re playing Minecraft and think, “Wait, did my mouse just vibrate or was it my phone?” the same way I’m momentarily confused every time I’m using a Razer keyboard, boot up Overwatch, and the lights all go haywire. So yeah, a bit of a letdown. I think mice could definitely use haptic feedback on a level with gamepads, but the Rival 500 isn’t the mouse that brings us there. Not yet, anyway. Last but not least, it’s worth talking about disconnects. Look around online and you’ll find a ton of discussions about the Rival 500 disconnecting from PCs at inopportune times (like, mid-multiplayer match). It’s a pretty disastrous bug, right? And probably one that should’ve been caught before launch. On the plus side, it’s been fixed as of June and thus won’t be factoring into our score. Just a heads up. The Rival 500 is fascinating. I can’t in good conscience score it highly—I just don’t think it’s an incredible mouse. The shape is squat and fat, it’s heavy, the buttons are spongy when they need a satisfying click and too stiff when they need to be spongy, the cable’s mere rubber, and so on. But we need more forward-thinking mice. The Rival 500’s thumb layout? Brilliant. One of the most innovative I’ve used in years, and deserving to be implemented in more (and better) devices pronto. Then there’s Tactile Alerts, which are borderline-useless in their current state but could perhaps be even more revolutionary done right than the thumb layout. It’s an incredible concept mouse that just needs a bit more refinement before it’s ready for mainstream use. Hopefully we’ll see an improved version soon.